Lego shows the future of town building? Why is it that you have to choose neighborhoods that other people design? Wouldn’t it be great if you could collaborate on designing the coolest neighborhood, then have it built? Perhaps that dream isn’t far away, and Lego may have laid the foundation. 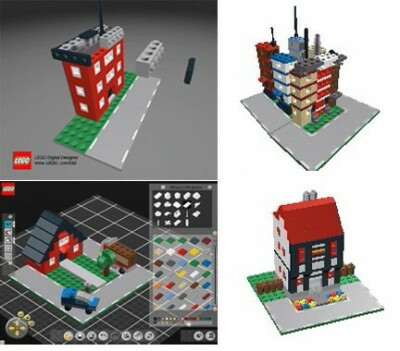 Its newly introduced Lego Factory allows people to design their own buildings, neighborhood, even an entire town via the free software they provide. That’s just the beginning, because you then submit that design to Lego to buy all the pieces to build it, complete with instructions! There are even pieces for outdoor dining tables. So, imagine if a visionary developer sponsored a beta community of future residents to design and build a number of these lego buildings so they could show him/her what a model neighborhood (pun intended) would look like? Now that’s the Lego we know and love.